Users who own any previous versions of the program will experience all new levels of power and productivity with the new features in CorelDRAW Graphics Suite X7. Enhancements including the redesigned user interface, customizable workspaces, professional photo-editing tools and incredible new photo effects make it easy for users to design their way. Upgrading to X7 will make a dramatic difference in the workflow of designers, illustrators, sign makers and enthusiasts. CorelDRAW Graphics Suite X7 is also the ideal choice for anyone running modern versions of Windows including Windows 10, 8 and 7. For users moving to Windows 10, CorelDRAW Graphics Suite X7 is designed to offer a great experience on this exciting new operating system. If you’re using CorelDRAW Graphics Suite X3 or a lower, you are eligible to purchase CorelDRAW Graphics Suite X7 at the upgrade price, saving you up to $300 USD. For more information, check out coreldraw.com/specialupgrade. If you’re using CorelDRAW Graphics Suite X4, X5 or X6, you qualify for a value-added extra when you upgrade to X7: a full version of CorelDRAW Home & Student Suite X7 absolutely FREE (a $129.99 USD value). Visit coreldraw.com/specialoffer for more information. 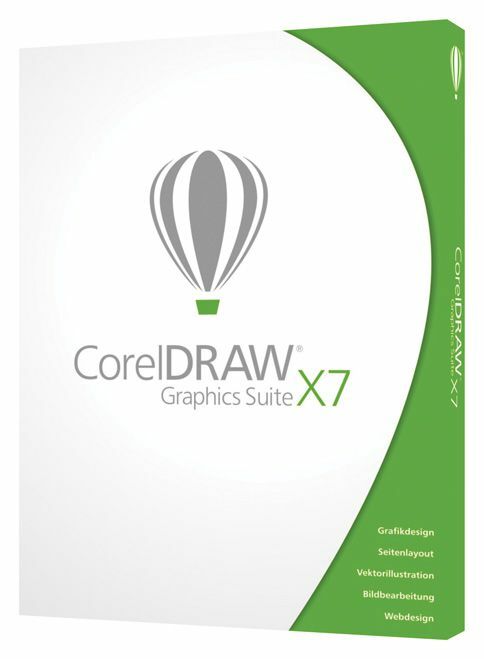 All you have to do is purchase CorelDRAW Graphics Suite X7 upgrade and complete the form on coreldraw.com/upgrade to get your Serial Number (may take up to 1 business day). Take advantage of these unprecedented offers soon, they won’t last forever. No matter what version you have, there has never been a better time to upgrade! Cécile Brosius is the Director of Product Marketing for the CorelDRAW family of products. Her responsibilities include global product launches and all marketing–related activities. She is always amazed by what CorelDRAW design heroes around the world create with the program. Cécile joined Corel in 2008 and works at the corporate headquarters in Ottawa, Canada. This entry was posted in Graphic design and tagged CorelDRAW, CorelDRAW Graphics Suite X7, Sale, Savings, Special Offer, Upgrade. Bookmark the permalink. 3 Responses to CorelDRAW Graphics Suite X7: There has never been a better time to upgrade! as I use this software to do 2D drawings only. I do not use the web design portion of the software.